Do you frequently feel stressed out? Do you eat in response to stress? Stress can have a negative impact on our health. When stress becomes chronic, the body starts to respond to stress in negative ways, which can lead to health conditions such as headaches, depression, fatigue, weight gain and insomnia. Over time, chronic stress can result in the depletion of essential B vitamins that are used during stressful periods. When B vitamins are deficient, the body is more vulnerable to the effects of stress and disease. Because B Vitamins work synergistically, they should be taken together rather than individually. Since our diets lack foods that are rich in B Vitamins, they must be taken regularly to maintain adequate levels. Adequate intake of B Vitamins is essential for good health, proper energy levels and reducing stress-related reactions. 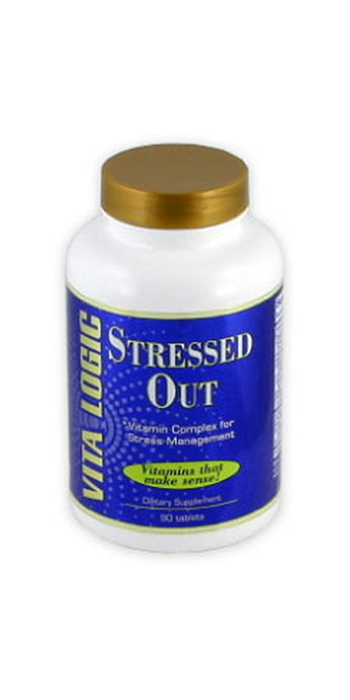 Stressed Out is a high potency Vitamin B Supplement designed to aid the management of stress related disorders. Thiamine helps the body convert carbohydrates into energy. Thiamine has been shown to be beneficial for individuals suffering from a variety of stress-related conditions. In combination with other B Vitamins, Vitamin B6 is important for regulating mood and reducing anxiety and stress. Some studies suggest that low levels of Vitamin B12 may be linked to psychological disorders including depression. Folic Acid has been shown to play an important role in treating and preventing symptoms of depression and anxiety.